A ceiling fan properly sized and installed for your home can make a significant difference in your heating and cooling bills. Lowe's Hardware markets a wide variety of ceiling fans -- from plain to exotic -- with its exclusive Harbor Breeze line made by Litex. 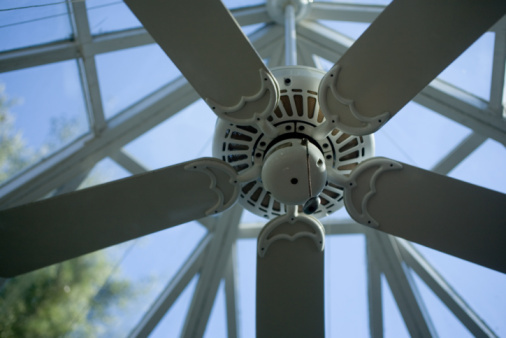 If the fan doesn't work properly, the problem may be electrical or in the motor. 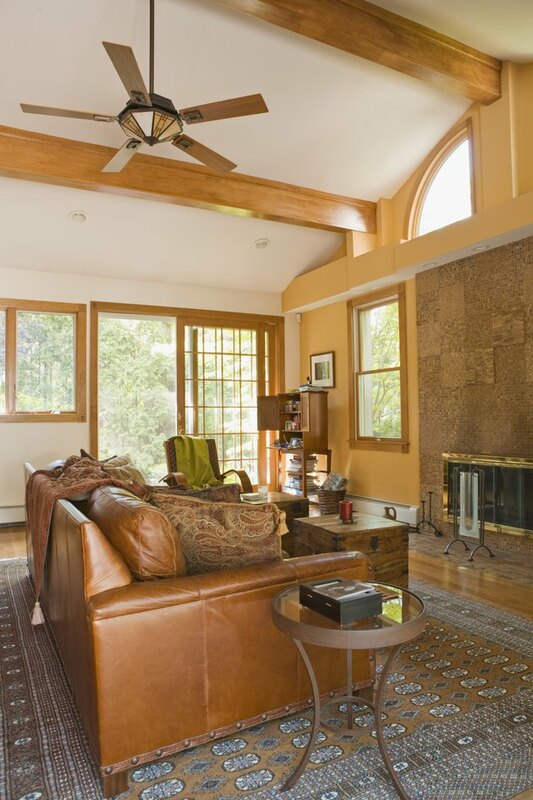 A well-maintained ceiling fan cools in summer and warms in winter. Turn off the fan at the wall switch. Unscrew the fan blades and remove the fan motor from the ceiling bracket to check the wiring connections. Similar-colored wiring should be firmly connected together with a cap seated over the connection to prevent shorting problems. Look for wires that are broken or with missing insulation. Track the wiring through the unit to the lights and examine them the same way. Redo any loose connections and replace any wire that appears bad. Look over the motor while it's removed. Hold it steady and turn the wall switch back on. A grinding noise may indicate bad bearings or just a need for oil. Find the oil port on your particular model of Harbor Breeze and drop 3 or 4 drops of light machine or sewing oil into it. If the grinding noise persists after a minute, the bearings might be going bad, which requires a complete motor overhaul. Tug on the bracket to see if it's coming loose from the ceiling support. After several years of use, the screws may be working their way out of the bracket, which can cause the motor to vibrate and make noise. Fasten the blades back on firmly when re-fixing them to the fan. A loose blade unbalances the shaft, causing vibrations, noise and premature wear and tear on the unit.